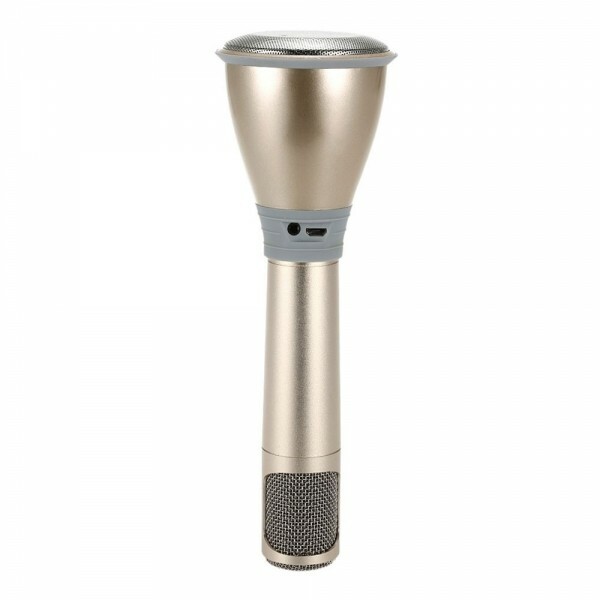 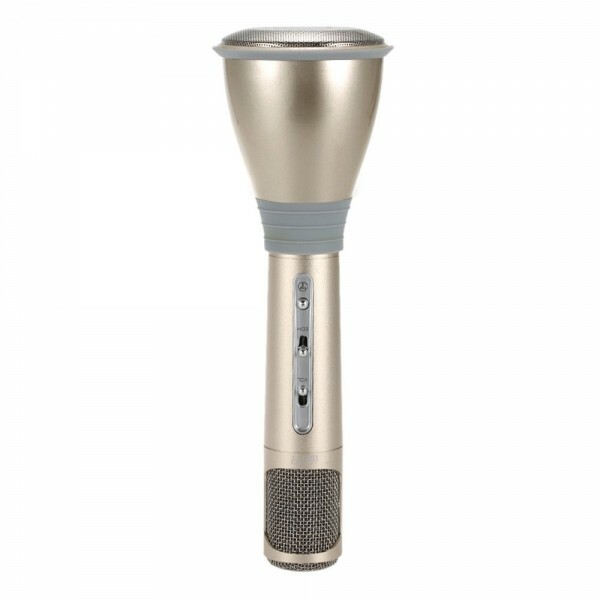 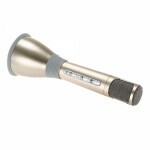 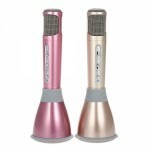 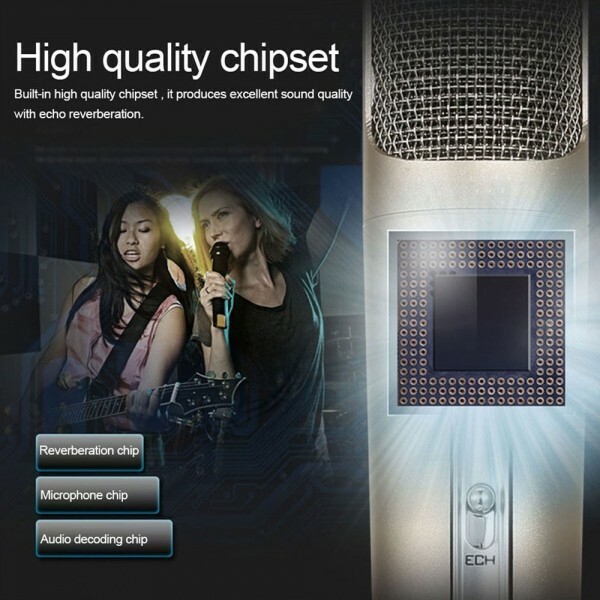 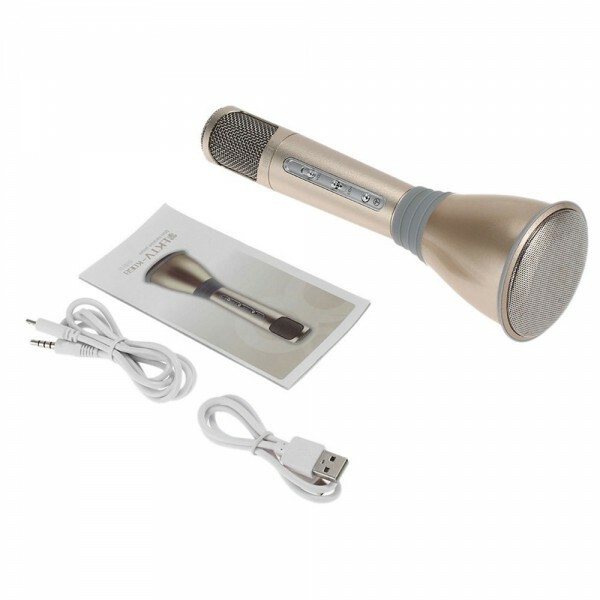 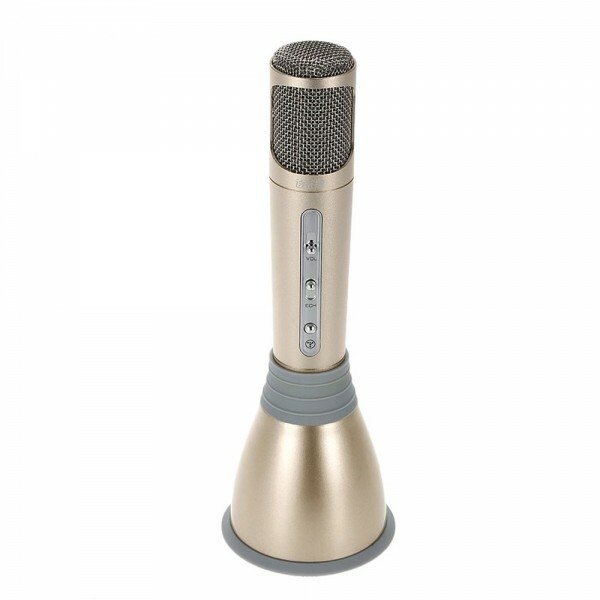 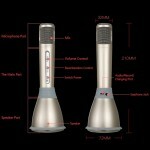 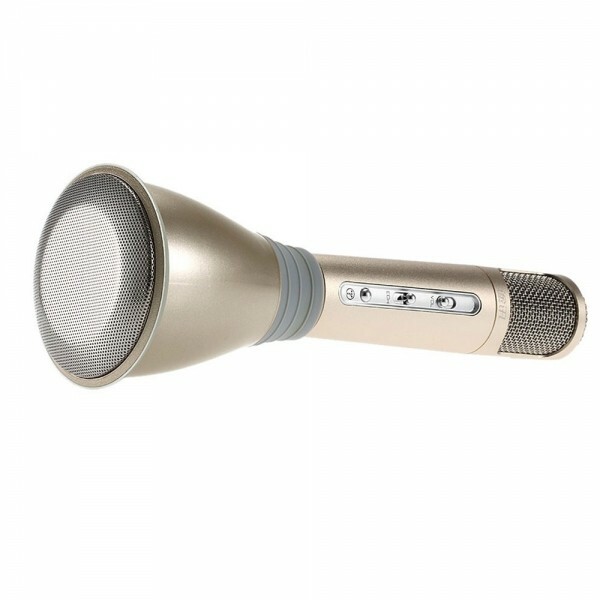 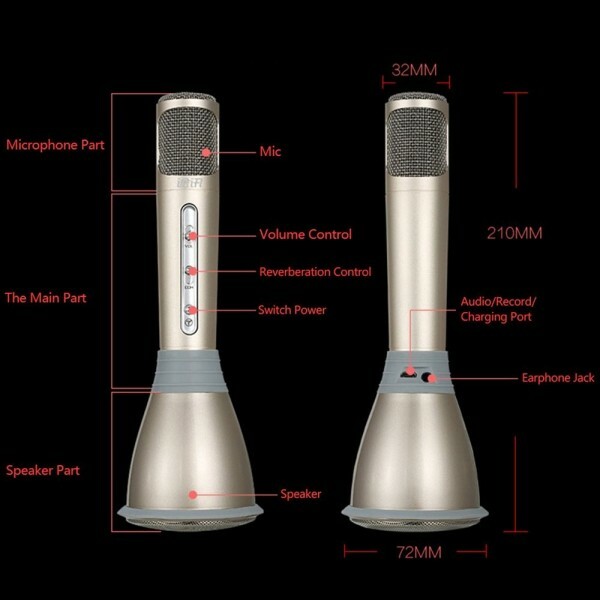 K068 condenser microphone is the best choice for singing without going to KTV. 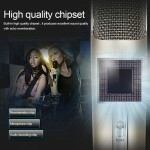 With it, you can sing and record your singing at home and party. 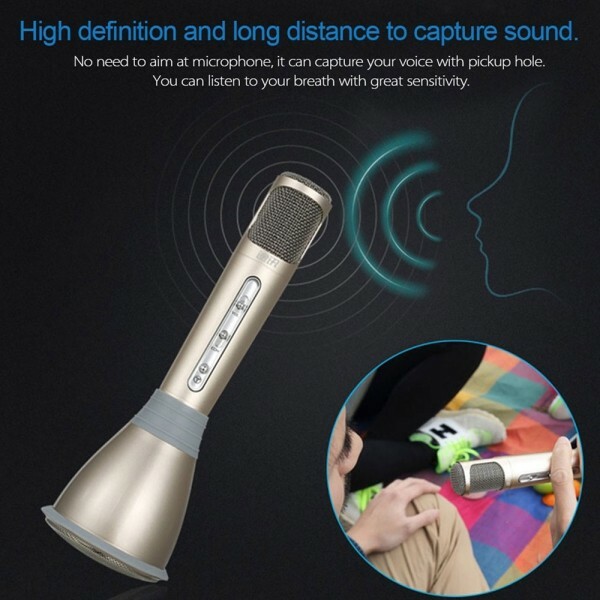 It also can share your voice with your friends with its unique sound quality. 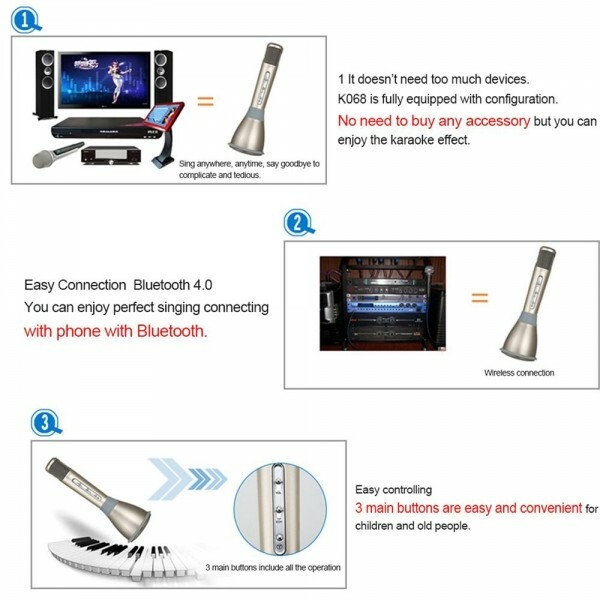 You can connect with your phone with cable or Bluetooth. 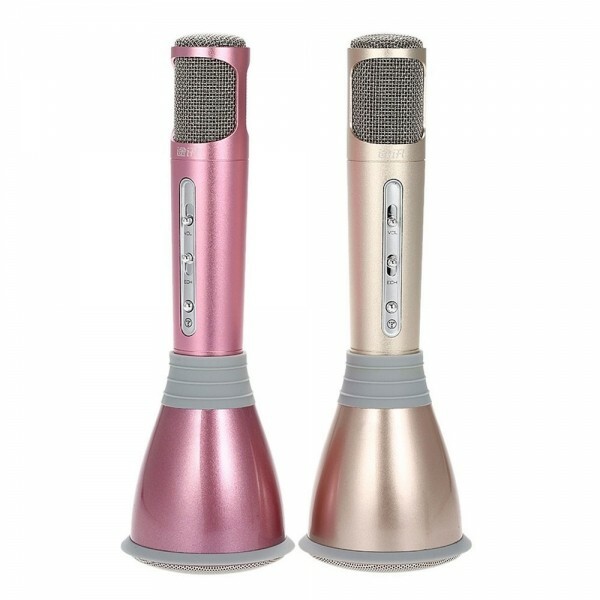 Once turn on the singing software on your phone or on your computer, it will produce excellent sound quality with echo reverberation. 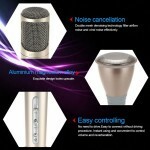 Made of first-rate material, it is durable for long-term use. Just enjoy yourself! 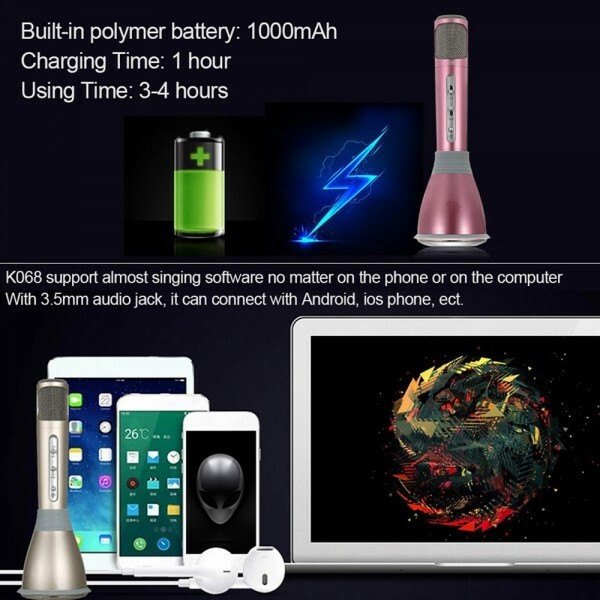 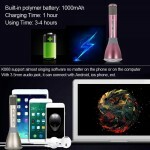 With 3.5mm audio jack, it can connect with Android, iOS phone, etc.